We are the largest industrial equipment repair center in North Carolina. As such, we have a large warehouse of surplus inventory and a number of industry partnerships. 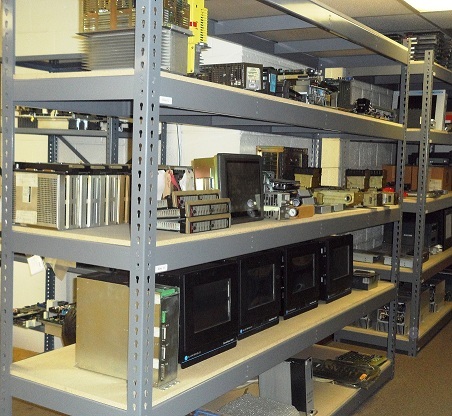 We can source legacy, current production, and OEM obsolete equipment. We test all of our surplus spares we sell and offer a 1-year in-service warranty on all surplus items. Need an Obsolete or Hard to Find Automation Part? No Problem! Northline NC specializes in finding the old, the unusual, and the outdated. We have a network of industry partnerships that keep us on the pulse of buying and selling used equipment. We have great prices- at or below list. We can also buy or help sell your old equipment. Recycling your surplus helps save the environment, helps smaller operations, and gives you some money to use toward your new or refurbished equipment!